Over the last several years, virtual currency has become increasingly popular. Bitcoin is the most widely recognized form of virtual currency, also commonly referred to as digital, electronic, or cryptocurrency. While most small businesses aren’t yet accepting bitcoin or other virtual currency payments from their customers, more and more large businesses are. And the trend may trickle down to smaller businesses. Businesses also can pay employees or independent contractors with virtual currency. But what are the tax consequences of these transactions? Bitcoin has an equivalent value in real currency and can be digitally traded between users. It also can be purchased with real currencies or exchanged for real currencies. Bitcoin is most commonly obtained through virtual currency ATMs or online exchanges. Goods or services can be purchased for using “bitcoin wallet” software. When a purchase is made, the software digitally posts the transaction to a global public ledger. This prevents the same unit of virtual currency from being used multiple times. Questions about the tax impact of virtual currency abound. And the IRS has yet to offer much guidance. The IRS did establish in a 2014 ruling that bitcoin and other convertible virtual currency should be treated as property, not currency, for federal income tax purposes. This means that businesses accepting bitcoin payments for goods and services must report gross income based on the fair market value of the virtual currency when it was received, measured in equivalent U.S. dollars. When a business uses virtual currency to pay wages, the wages are taxable to the employees to the extent any other wage payment would be. You must, for example, report such wages on your employees’ W-2 forms. And they’re subject to federal income tax withholding and payroll taxes, based on the fair market value of the virtual currency on the date it was received by the employee. 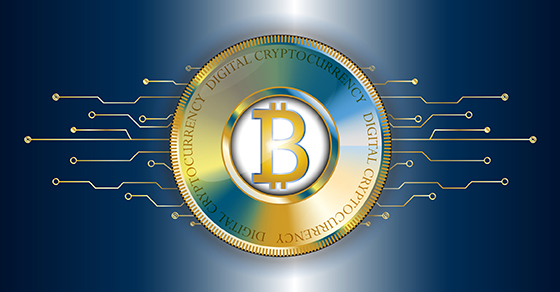 When a business uses virtual currency to pay independent contractors or other service providers, those payments are also taxable to the recipient. 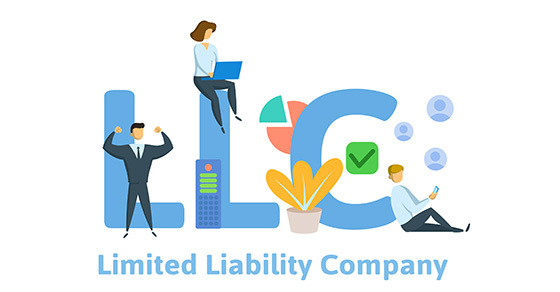 Generally, the self-employment tax rules apply, based on the fair market value of the virtual currency on the date received, and payers must issue 1099-MISC forms to recipients. Finally, payments made with virtual currency are subject to information reporting to the same extent as any other payment made in property. Accepting bitcoin can be beneficial because it may avoid transaction fees charged by credit card companies and online payment providers (such as PayPal) and attract customers who want to use virtual currency. But the IRS is targeting virtual currency transactions in an effort to raise tax revenue, and it hasn’t issued much guidance on the tax treatment or reporting requirements. So bitcoin can also be a bit risky from a tax perspective. To learn more about tax considerations when deciding whether your business should accept bitcoin or other virtual currencies — or use them to pay employees, independent contractors, or other service providers — contact us. Identity theft continues to be a growing problem, with instances of tax-related identity theft increasing every year. This can be a frustrating, time-consuming issue for taxpayers. Here are some things you need to know about tax-related identity theft. Tax-related identify theft occurs when a social security number is stolen and used to file a tax return for a fraudulent refund. 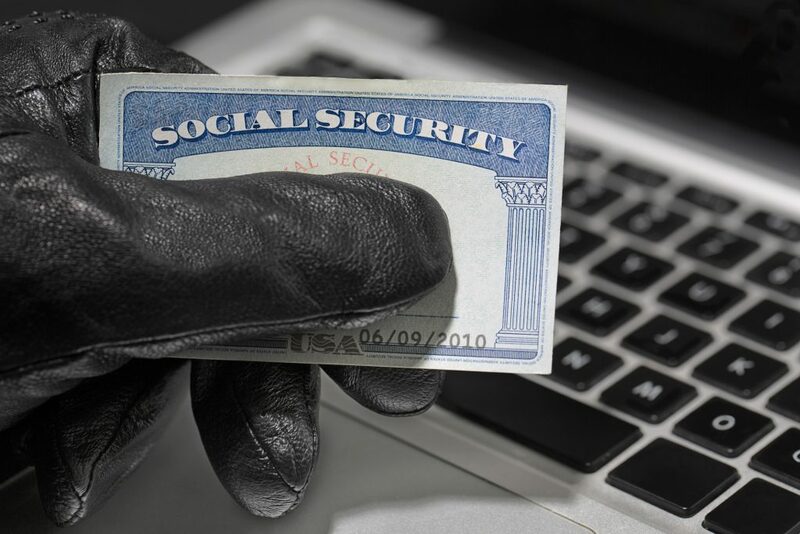 Many victims of tax-related identity theft are unaware that it has occurred until they file a return and discover that one has already been filed under their social security number. In other cases, taxpayers may receive a letter from the IRS stating that they have identified a suspicious return. For 2017, the IRS, state agencies, and the tax industry enacted new safeguards and actions to combat tax-related identity theft. Find more information from the IRS Taxpayer Guide to Identity Theft. With an increase in scams and stolen personal information, the Minnesota Department of Revenue has stated that it is taking the time necessary to ensure that the correct refund goes to the correct person. The department reviews every return to verify information provided, and therefore, the length of time to process that return may vary from year to year. Learn more from the Minnesota Department of Revenue. For Wisconsin, visit the website of the State of Wisconsin Department of Revenue. Tax-related identity theft may also occur when thieves use a stolen Employee Identification Number from a business to create fraudulent W-2s. The accounting and tax professionals at Ramsay & Associates can assist taxpayers with individual and business tax-related identity theft – both with taking preventive actions and correcting any issues after identity theft occurs. Contact us for more information or to schedule an appointment. With the April 18 Tax Day deadline behind us, you may be of the mindset that the last thing you want to do is start preparing for your 2017 income taxes. But there’s really no better time than now, when your most recent tax experience is still fresh. Here are a few things you can do now to prepare for 2017 tax returns. You’ll be glad you did. Come tax season, a pile of receipts and documents shoved into a drawer or folder can be completely overwhelming. If you don’t already have an organized filing system in place, create one now. Mobile filing folders, boxes, or totes work well if you don’t have a filing cabinet and are available at office supplies stores. If possible, keep this separate from your non-tax related filing, such as credit card statements or correspondence. 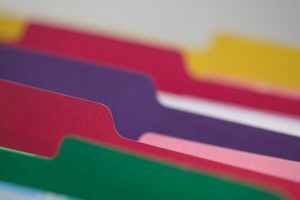 Take a look at your documents and receipts from your 2016 return to determine which categories you’ll need for each file folder, and keep up with your filing on a weekly or monthly basis. Next January and February when you receive your W-2, 1099s, mortgage interest statements, and other important documents, you’ll be ready to file them, and they’ll be easily accessible when the time comes. Were there any specific items that caused delays or other issues with your 2016 tax returns? For example, were your mileage records incomplete? Did you neglect to thoroughly document clothing or household goods donations with photographs and receipts? If you haven’t already logged your mileage or documented donations for 2017 – or any other items that you may have missed – start now. Spreadsheets provide another excellent method of tracking expenses, tax deductible donations, mileage, and other important information. The more detailed the information captured, the better. If you have online receipts, include the hyperlink for easy access. Scan and save paper receipts electronically. Be sure to back up all your files. Did you withhold too little in 2016? Too much? Now is the time to review your taxable income and make necessary adjustments to your current withholdings, 401(k) contributions, and other components that determine your taxable income – and subsequently, your tax bracket. If you’re unsure of the best course of action to most positively impact your 2017 income tax return, contact Ramsay & Associates. Our tax planning services – for both individuals and businesses – allow you to make the best financial decisions for your family or your business. Contact us for more information or to set up a tax planning appointment. Take the stress out of tax season – a little preparation now will go a long way in early 2018. Recent years have brought about budget cuts and downsizing within the Internal Revenue Service. However, the agency’s priority remains tax compliance and enforcement in an effort to close the nation’s tax gap. What is a tax gap? A tax gap is the difference between the amount of taxes owed by taxpayers and the amount that the IRS actually collects. Each year, the government loses about $458 billion due to underreported income, underpaid taxes, or people not filing returns at all. International noncompliance adds to that total. A 2010 IRS study shows that taxpayer filing and payment compliance, known as the voluntary compliance rate, is approximately 82 percent. This year’s voluntary compliance rate target is 86 percent. 7.5 million people who receive information statements (such as a W-2 or 1099) do not file their required tax return each year. The number of cash-based workers and small business non-filers (who don’t receive 1099s or W-2s and are “off the grid”) is unknown. However, the IRS may renew interest in obtaining this information based on recent studies. 19 million individuals and businesses owe $398 billion to the IRS. One-third of these have payment or deferral arrangements with the IRS. One-third owe taxes and have not paid; the IRS is actively pursuing payment. The IRS is not pursuing payment from the remaining one-third. 24 million Forms 1040 do not report all income. The IRS audits fewer than one percent of returns. 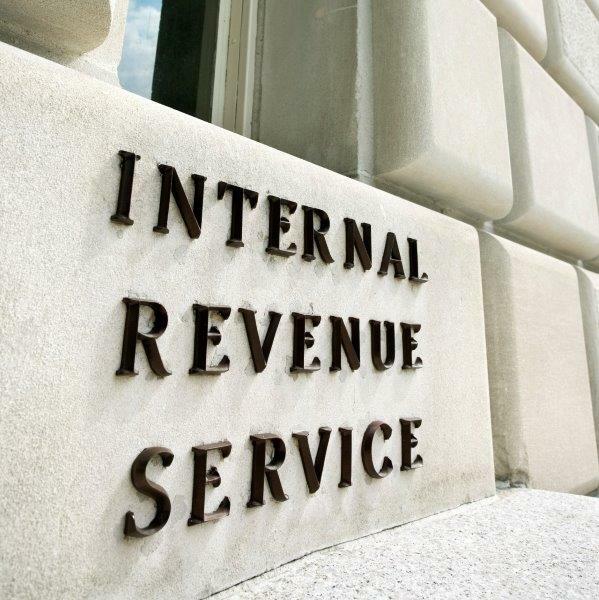 The IRS conducts three out of every four audits through correspondence. Despite budget cuts to the IRS as well as its declining audit rate, the IRS will continue its efforts to close the tax gap with improved compliance. At Ramsay & Associates, our tax services go beyond preparing an accurate and timely tax return. We can assist both businesses and individuals with any compliance issues, should they arise. Contact us to learn more about our business and personal tax preparation and planning services.